Buppy Pets Owner Ruggiero Talks Expansion on GoLocal Providence LIVE. 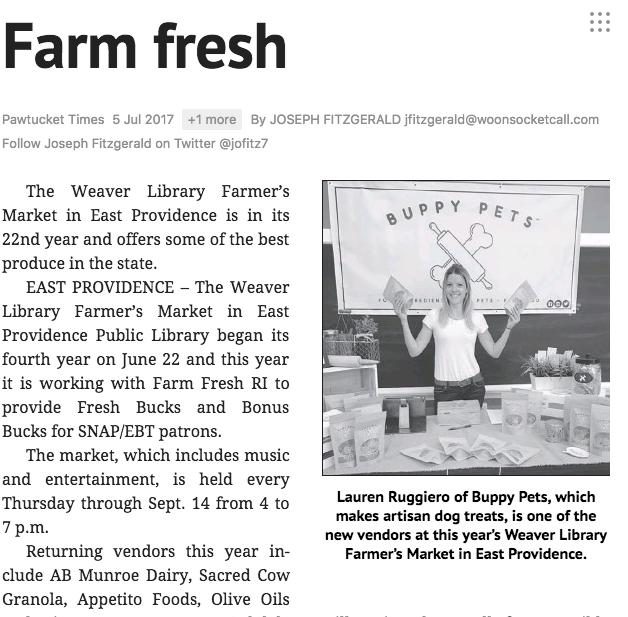 Lauren Ruggiero stopped by "The Rhode Show" to share some samples from her newly launched company, BUPPY PETS. Reinventing Kibble- Buppy Pets crafts healthy dog food in Warren – but people might like it, too. The Hub Today's Anna Rossi bakes up some delicious Buppy Pet treats with Owner/Founder Lauren Ruggiero. We love getting social! Below are just a few of the opportunities we get to meet new pups and their families.